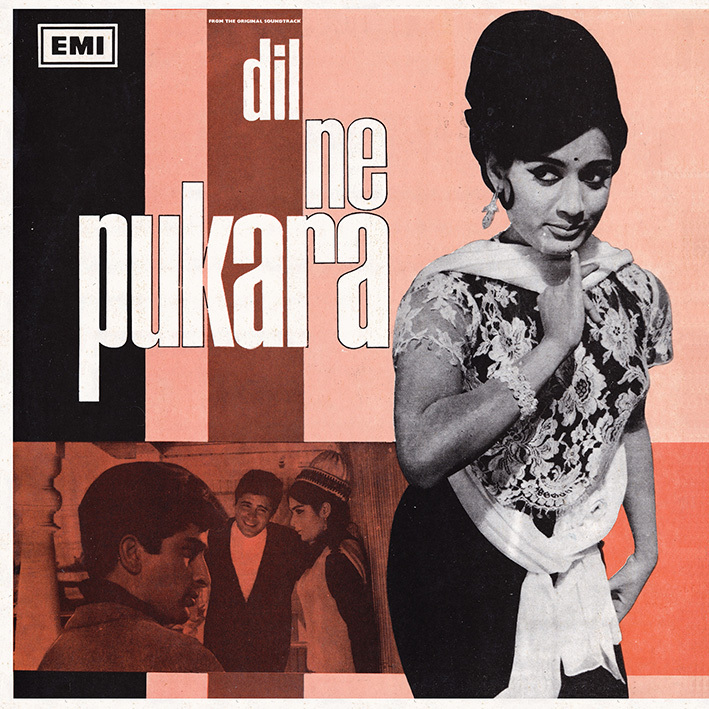 'Dil Ne Pukara' is a comparatively charming Kalyanji Anandji effort, made a few years before their most famous scores. It features a variety of styles and moods, including a number of pleasing (if not entirely outstanding) songs. Opener 'Dekha Hai Sabhi Ne Chand Ko' is a bright and poppy Mohd. Rafi track, quite typical for its time. Moody 'Waqt Karta Jo Wafa' may be the score's best known song, at least based on YouTube accessibility. In fact there's not a lot to be found about either film or soundtrack online; the only other song clip I located was 'Khai Thi Kasam', a dramatic sounding yet still very pretty Lata Mangeshkar ballad. As luck would have it that's my favourite track off the album, along with the jumpy Manny Dey & Asha Bhosle duet (a cabaret number maybe?) 'Kis Kadar Zalim'. Another wonderful treat! Thank you for sharing it. pc,when you going to upload your next rip. Eagrly Waiting for RAM TERI GANGA MAILI. Hasn't been ripped yet but will be posted eventually. Several of the soundtracks I've posted have been raw rips; I use cleaning software when I feel it's required. There are no two opinions about the genuineness of your rips,its just that raw rips with all the clicks and crackles give a real flavour of a vinyl sound,for example personally i think if Meetha zehar was a raw rip, it would have sounded much better than what it sounds now. In the end i would like to thank you again for all your efforts you have been putting in over all these years. Dear PC, when you going to share your next post.Early waiting .